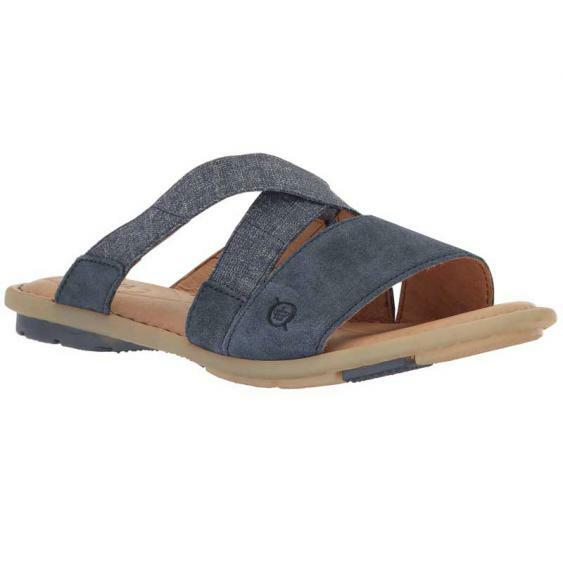 Slip into simple style and comfort with the Born Tidore. This women's slide is made of a combination of distressed leather and elastic. The leather linings are easy on a barefoot and the cushioned footbed provides plenty of bounce-back with each step. Born’s Opanka construction made the Tidore really lightweight and flexible without sacrificing durability and the rubber sole gives you traction on a variety of surfaces. The Born Tidore is the perfect finish to any summer outfit, so get it while you can!